Location: Spanning the canal at Llanfoist Wharf and now serving as the access to Boathouse Cottage. Also known as Tod's Bridge. Tramroad bridge built to carry Thomas Hill's Tramroad over the Brecknock and Abergavenny Canal. The tramroad was first opened in 1822 from Blaenavon Works but this section of the tramroad from Garnddyrys Ironworks down to Llanfoist Wharf was built in 1825 providing a date for this bridge. The canal at this point was completed in 1812 under William Crosley. 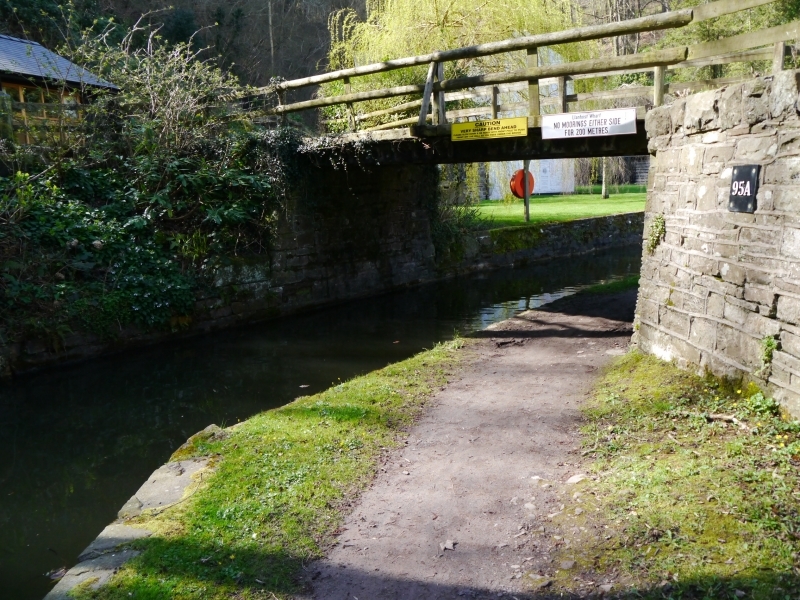 The Brecknock and Abergavenny Canal (now known as the Monmouthshire and Brecon Canal) was constructed between 1797 and 1812 and was linked to many tramroads making it an important artery for the trade in iron, lime and coal. Gradually the railway took traffic off the canal and eventually it was bought out by the Great Western Railway. Restoration work began in 1964. Flat deck of cast-iron plates laid on cast-iron T-section girders. Timber parapets and rubble abutments curving outwards on towpath side. Modern tarmaced roadway. Included for its special interest as a surviving early cast-iron bridge associated with the tramroad and for group value with other listed items at Llanfoist Wharf.